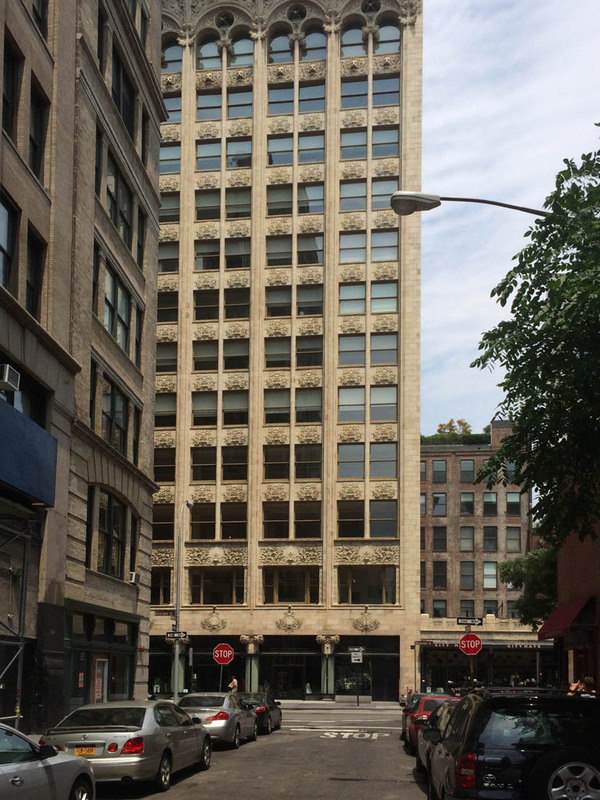 Louis Sullivan, The Bayard Building, 65 Bleecker Street, New York, New York, 1899. 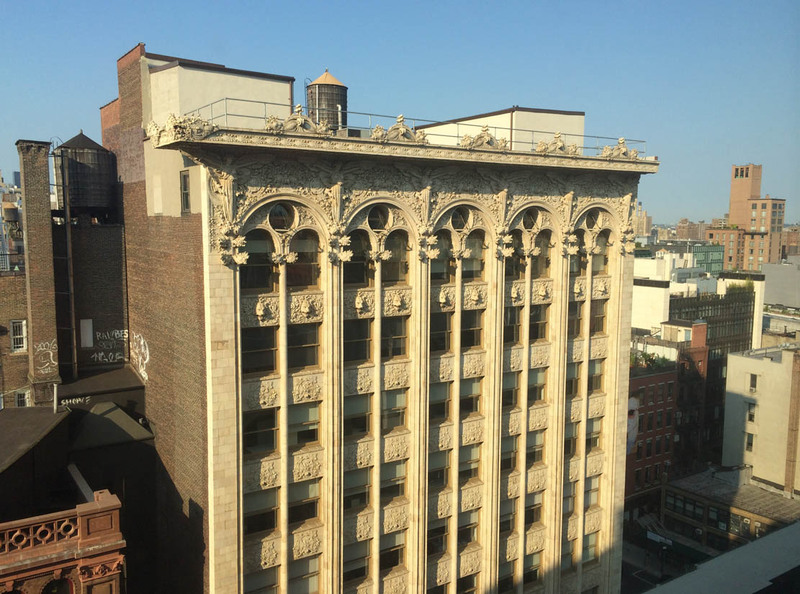 Looking out my office windows I see Louis Sullivan’s only building in New York City. There are two more views from my office here. 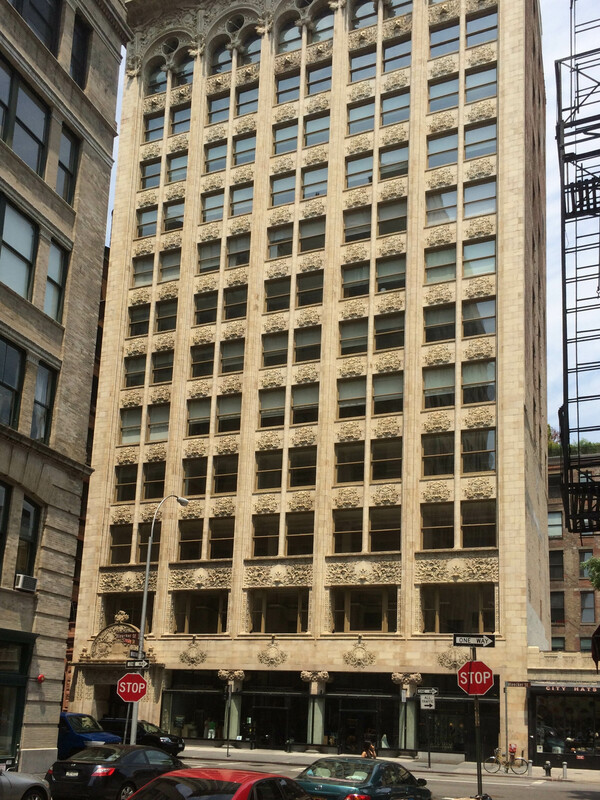 And after the jump, more views of the Bayard Building. 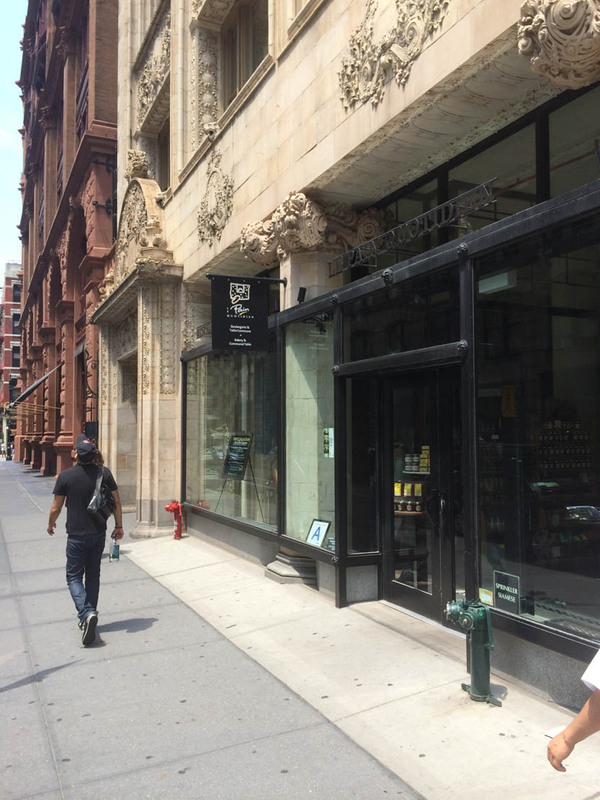 The view from Crosby Street. 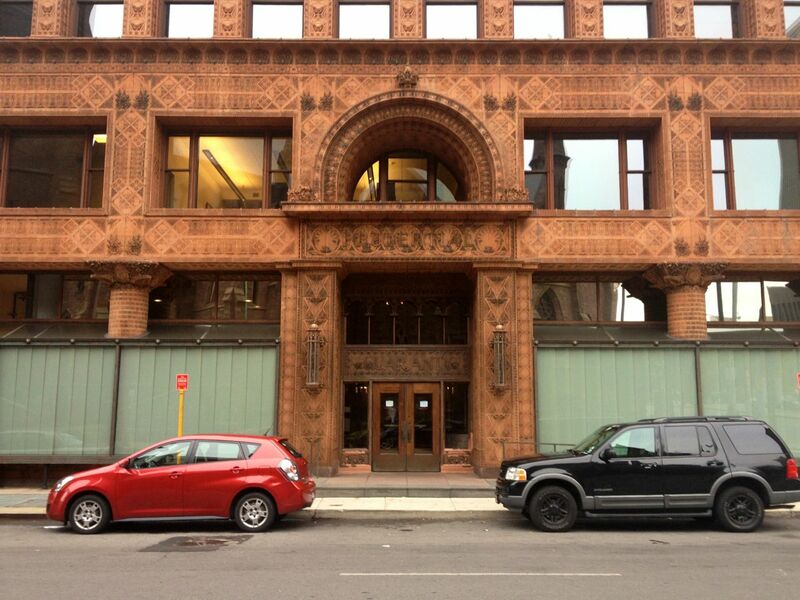 Sulivan & Adler, Guaranty Building, 140 Pearl Street, Buffalo, New York, 1896. 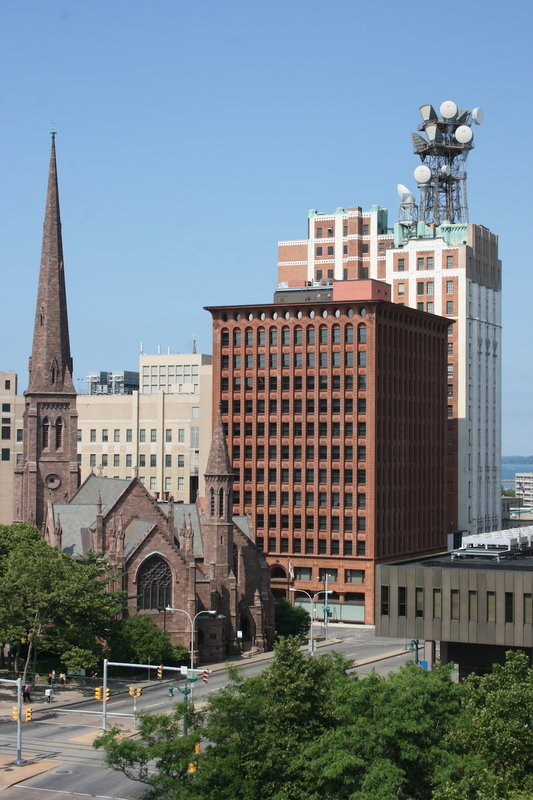 While the Bayard Building terminates Crosby Street and sits in the middle of the block, the Guaranty Building is at the corner of Church and Pearl streets in Buffalo. Both facades are wider and taller than the facade in New York City. 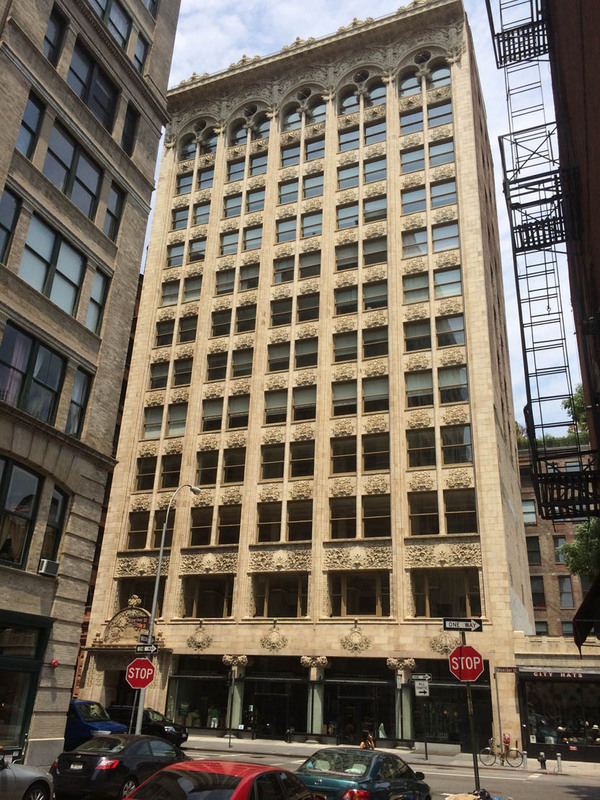 This entry was posted in Architecture, Good Kind, New York. Bookmark the permalink.